Judy has a background in health visiting and NHS management. She joined City University in 2015 as a lecturer in health visiting and is part of the public health nursing team, supporting the education of health visitors, school nurses and district nurses, with a particular lead for health visiting. Judy is qualified in adult nursing, children’s nursing and health visiting and during her time in the NHS worked as a practice teacher supporting Specialist Community Public Health Nurses. She also worked in North Somerset in leadership roles in health visiting and professional education. Judy undertook her first degree at the University of the West of England graduating with a BSc Hons in Specialist Community Public Health Nursing and a professional qualification in health visiting. In parallel to gaining professional experience she undertook an MSc in Teaching and Learning for Health Professionals at the University of Bristol and reinforced her interest in both research and education. 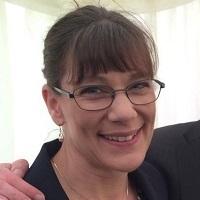 Prior to working at City, Judy worked as a Lecturer at the University of the West of England for three years, also focusing on specialist community public health nursing. This appointment was a result of the Health Visitor Implementation Plan and she was able to work with students on the largest programme in England, supporting the education of around 700 health visitors, school nurses and occupational health nurses over the four year Implementation Plan period. During her academic career, Judy has been involved in research in to public health workforce development. She worked on two projects, one to evaluate the impact of the Health Visitor Implementation Plan on the health visitor workforce and the second to explore the impact of education programmes on the movement of sexual health services towards integrated service delivery. She has a particular interest in how policy is interpreted and implemented in practice and how this is supported through education. Quality assurance work undertaken within the South West led to the identification of a number of sexual health nursing workforce improvements that needed to be made in order to meet the demands of an integrated service, particularly given the increasing demand for nurse led services. This included the proposal to adopt the Northumbria Integrated Sexual Health Education Programme (NISHE) within the South West. This research is seeking to explore the transferability of this model from a relatively small geographical area in the North East to the South West of England. It includes the multiple perspectives of students, practice educators, mentors, clinical service managers, policy makers and commissioners and service users within the region. This mixed methods, longitudinal study uses questionnaire, interview and focus group data to enable a detailed and intensive analysis of the NISHE approach. The study explores not only how those undertaking the programme experience it, how it affects their practice but also how wider stakeholders perceive the delivery and more broadly the outcomes for the service and its users. Using a variety of data collection methods will also allow an opportunity for triangulation potentially improving the overall validity of the findings. The research is funded by Health Education South West from 2013 - 2015. The introduction of the Health Visitor Implementation (DH 2011) set out to strengthen the service by training an additional 4200 practitioners by 2015. This research is the first formal evaluation of this large policy initiative and as such has national significance. The purpose of the study was to understand the impact on education and practice from a range of stakeholder perspectives. This research, conducted over 2012-2013 used mixed methods; data were collected using quantitative and qualitative methods, specifically longitudinal baseline and follow-up survey data from students (n=141), semi-structured interviews and focus groups with a range of professionals, strategic managers (n= 18) and families (n=14). Quantitative data were analysed using descriptive statistics, and assessment of differences using χ2 test of association. Qualitative analysis was conducted through thematic analysis and constant comparative methods. Findings indicate students felt a weight of responsibility at being the ‘new vanguard’ of health visiting. Managers described high expectations of newly qualified practitioners, however, students expressed concern about the theory practice gap – being educated for a role that some were not yet observing in practice. There were tensions between new and existing staff; new staff provided an impetus to service delivery, but this impacted on existing staff, already providing services using more traditional service delivery models. Data from families highlighted the negative impact of lack of practitioner time and resource on the service offered. The results reiterate the complex relationship between policy and practice, promote discussion around the theory practice gap and suggest cautious optimism about the influence of newly qualified health visitors on the service delivery of the future. The research was funded by Health Education South West from 2012 – 2013. Deave, T., Novak, C., Brook, J. and Salmon, D. (2017). Evaluation of the Specialist Community Public Health Nursing Peripatetic Assessment Model. Community Practitioner, 90(8), pp. 45–47. Brook, J., Salmon, D. and Knight, R.A. (2017). Preparing the sexual health workforce to deliver integrated services: Is education the answer? A qualitative study exploring the impact of sexual health education on developing integrated policy and practice. Primary Health Care Research and Development, 18(3), pp. 270–281. doi:10.1017/S1463423617000123 . Brook, J. and Salmon, D. (2017). A qualitative study exploring parental perspectives and involvement in health visiting services during the Health Visitor Implementation Plan in the South West of England. Health and Social Care in the Community, 25(2), pp. 349–356. doi:10.1111/hsc.12308 . Brook, and Salmon, D. (2015). Insider perspectives: Qualitative insight from health visitor practice teachers and managers in 2012/13. Journal of Health Visiting, 3(1), pp. 30–36. Condon, L. and Brook, J. (2014). Breastfeeding in the early days and beyond. Nursing in Practice, (79). Brook, J., Salmon, , Knight, R.A. and Seal, J. (2015). Sexual Health Education: an evaluation of the Northumbria Integrated Sexual Health Education (NISHE) Workforce Development Package delivered by UWE, Bristol. UWE, Bristol. ISBN 978-1-86043-525-6. Brook, J., Salmon, D., Kimberlee, R., Orme, J. and Bird, E. (2014). Meeting the challenges of the Health Visitor Implementation Plan at the University of the West of England Bristol. Bristol: University of the West of England Bristol. ISBN 978-1-86043-518-8. Novak, C., Salmon, D., Brook, J. and Deave, T. (2014). Evaluation of the Specialist Community Public Health Nursing Peripatetic Assessment Model in Somerset Partnership NHS Trust. Bristol: University of the West of England Bristol. Judy is co-editor of the Research Roundup in the Journal of Health Visiting. This is a monthly publication reviewing recently published research papers on health visiting and public health both in the UK and internationally..
Parental Perspectives of the Health Visiting Service and the Impact of the Health Visitor Implementation Plan. CPHVA Conference, Birmingham (2014). Developing Excellent Professionals: Researching the Impact of the Health Visitor Implementation Plan on Education and Practice. Nurse Education Today Conference, Cambridge (2014). Researching the Impact of the Health Visitor Implementation Plan on Education and Practice: a case study approach. RCN Research Conference, Glasgow (2014). The Impact of the Health Visitor Implementation Plan on Education and Practice, UKSC Conference. London (2014).